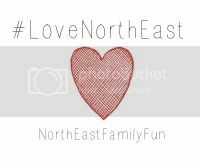 Welcome to #LoveNorthEast - our linky that is exclusive to North East Bloggers - our chance to support each other and discover some hidden gems. Go and check them out. Now it's your turn. Grab our badge and add your link using the form below. Thanks for joining in!